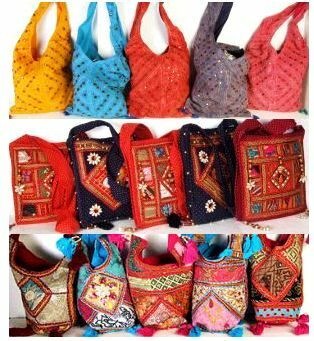 Panpaliya presents wholesale lots of assorted mix designs of Hand Bags. 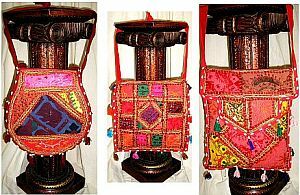 This wholesale lot of 100 pcs of Hand Embroidered and mirror work Hand Bags, all in various ethnic Indian tribal Hand Bags, colors and designs, is a must to complete your collection. The various embroidered motifs and borders in Bohemian tribal patterns gives an exclusive Look. With more than 100 different designs regularly produced, this lot is a must for your store collection and customers. 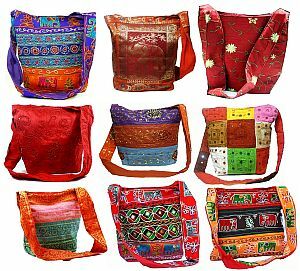 Amazing handbags wholesale lot of 150 pieces for just US$625.00 includes assorted patterns of tote bags, shoulder bags, slings, pocketbooks, zipper bags, small totes, shopping bags, beach bags. The work done is hand embroidery, beadwork, sequin work and mirror work. 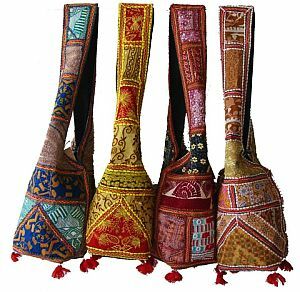 These beautiful handbags are freshly made new pieces at discount wholesale prices. 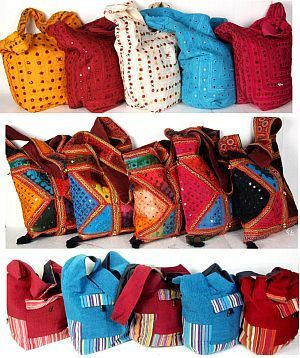 these handbags from Jaipur India are our regular production & each piece is intricately handcrafted with care to make each piece special. We are based in Jaipur India & we home deliver worldwide. With more than 100 different designs available, we put in maximum colors same and similar to the pictures, in a wholesale lot of 50 pcs. The embroidery is on the front flap only. The back and strap are plain colors. The front is a flap and opens all the way. Highlighted with multicolor tassels as shown. Inner lining on the entire purse is same cotton fabric.